"Jim Sturges is your typical teen in suburban San Bernardino-one with an embarrassingly overprotective dad, a best friend named "Tubby" who shares his hatred of all things torturous (like gym class), and a crush on a girl who doesn't know he exists. But everything changes for Jim when a 45-year old mystery resurfaces, threatening the lives of everyone in his seemingly sleepy town. Soon Jim has to team up with a band of unlikely (and some un-human) heroes to battle the monsters he never knew existed." I have been a fan of Guillermo del Toro ever since I watched Pan's Labyrinth in my Spanish class in year 9. And when I heard that he had written a book, I knew I just had to read it! It was everything I expected it to be from GdT, as his filmmaker style was eloquently transferred into his writing style, with clear connections and themes from his work in film. I really enjoyed this book, although it did take me a while to get through; but that was down to personal reasons rather than the excitement of the book itself. I loved how this book started, taking a POV from the main characters father back when he was a little boy. It must have been an exciting read for younger readers, as I'm 20 and I was very hooked from the beginning. I really enjoyed the characters in Trollhunters, my favourite being Claire Fontaine (such a badass!). We are introduced to a wide variety of characters, and as the main two settings for this book is a High School in San Bernardino and in troll-infested sewers, we get a good selection of teens, teachers, and trolls that our main character, Jim Sturges, interacts with. Tollhunters also has within its pages some beautiful illustrations drawn by Sean Murray. 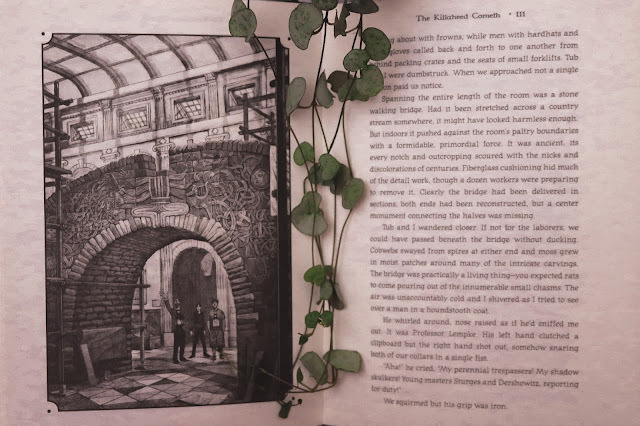 I love a book with pictures as I feel like it kind of lets you into the mind of how the author/s would have wanted you to imagine their world that they have created. The illustrations truly are beautiful, but some of them are a bit gruesome! They come in super handy when faced with trying to think of how the trolls in the book look; they give you a helping hand. Trollhunters is filled with young teenage love, wit, adventure and guts (quite literally). It was crammed with rich imagery and some of the most despicable trolls I have come across in fiction. There are moments of sadness, fear, loss and despair, but there are also moments of hope, love, bravery and friendship, which is what makes this story so great. It creates a family of misfits who battle trolls in the depths of night, and no one would ever have it any other way. Overall, I really enjoyed Trollhunters and I think will be a great read for children from 10+, but it does have some strong language flittering every here and there, especially towards the end, so be warned, young readers! I hope this is part of a series as I would love to see Jim and his troll hunter friends progress through school. The ending of this story (without being too spoiler-y), does end on a bit of a cliffhang or at least is paving the way for another book to be written. I would definitely LOVE to read more from this world and possibly go to different countries! 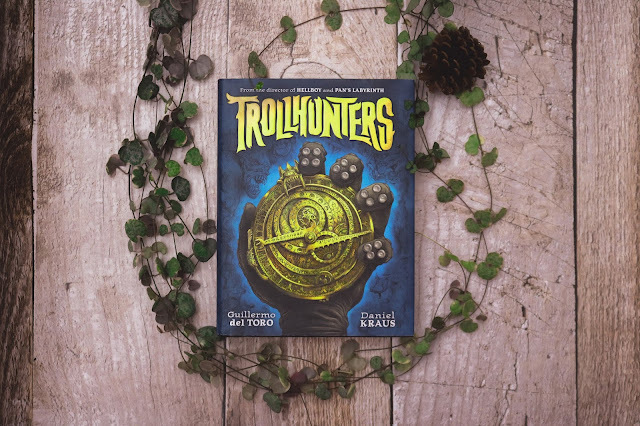 Let me know if you have read Trollhunters and what you thought of it in the comments below!